Spice View D mobile handset is first 3D display handset launched in India at an extremely affordable price of Rs. 4,299.Domestic handset-maker “Spice Mobility” proudly announced its launch as View D is a unique mobile handset and its features and USP makes it stand out of the crowd. It has been made for the users who wish to use smart mobile phones with latest technology and cool features. Interestingly, without using 3D glasses, one may view images and videos on this phone in 3 dimensions and this kind of experience is going to be unique for every mobile user of the nation. Plus, one may get the unique experience with utmost ease. The company has estimated that 20,000-30,000 View D mobiles would sell in a month. In a price-conscious country like ours, this is a huge task to accomplish but View D being an innovative mobile handset will hopefully meet the expectations of people and the sellers both. The handset will be exclusively available all across 750 Hot Spot Spice retail stores in India. According to figures from IDC, more than 38.63 million mobile handsets were sold in India during second quarter of 2010. This gives a clear idea of the demand of affordable mobile handsets in the country. Coming on to the specifications of the Spice View D handset, first is its 2.4-inch auto-stereoscopic 3D display which can toggle to 2D screen. The phone is also equipped with 2 megapixel camera, dual stereo speakers, MP3 player, FM Radio, stereo Bluetooth and 16GB expandable memory. Its ‘remote wipe’ feature in View D helps you manage the data on phone remotely if the phone is lost or stolen. The highlighted features of Spice View D are as mentioned below. 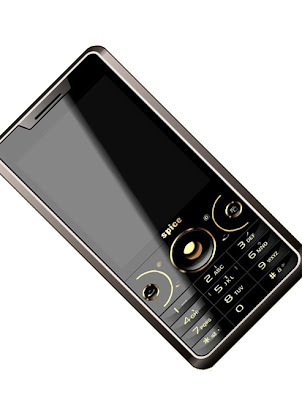 · Dual SIM (GSM+GSM) · 3D Phone · Auto-Stereoscopic Display · Remote Wipe · 2 MP Camera Spice View D is dual SIM GSM phone with unlimited phone book memory and may also be used as a modem. Spice View D has all the potential to capture the market. Looking at the popularity and demand for 3D experience, Spice planned to tap this growing fervor for 3D and the result was making and launch of Spice View D. It is the result of innovation and in ever flooded Indian mobile market a unique model called as Spice View D will make waves. 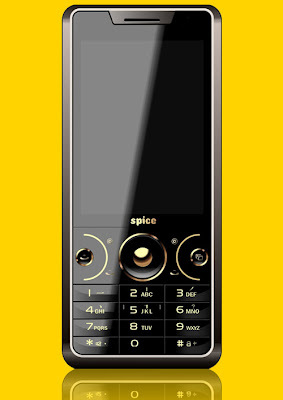 Spice launched first 3D mobile with affordable price.